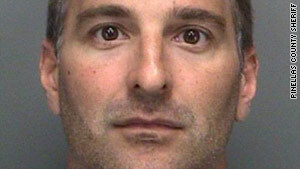 Marcus Mauceri, 40, is in hot water with a judge for allegedly impersonating his twin brother at a trial. (CNN) -- So, let's say you're flying into town for the beginning of your trial and you're running a little late. B. Ask your twin brother to go to court and pretend he is you. It doesn't appear to be a difficult question, but in Clearwater, Florida, one defendant made the wrong choice, and two brothers are now in jail. According to court officials, 40-year-old Matthew Mauceri was due in court Tuesday morning for the beginning of his trial on scheming-to-defraud charges. But, court officials said, he was flying in from out of town and when he realized he wasn't going to make it on time, he called his twin brother, Marcus, for help. So, Marcus Mauceri showed up in the courtroom of Judge Joseph Bulone, with Marcus claiming he was Matthew, according to the officials. It was Matthew Mauceri's defense attorney who judged that something was amiss, court officials said, and he alerted Bulone. In the judge's chambers, defense attorney James Thomas told Bulone he had represented both brothers previously, and that the right brother might not be present in court. Bulone put Marcus Mauceri under oath, and according to court transcripts, Marcus swore that he was Matthew. The judge launched a quick investigation. "One of our fingerprint technicians was called by the judge to do a print comparison," said Sgt. Tom Nestor of the Pinellas County Sheriff's Office. "They made a comparison and said, 'No, this is not Matthew,'" Nestor said. Bulone then appointed a public defender for Marcus and, according to a court transcript, declared, "I'm just going to find that by Marcus pretending to be Matthew ... that perpetrates a fraud upon the court." Marcus Mauceri was charged with criminal contempt and sentenced to 179 days in jail. Marcus told the judge he would appeal, and that he would hire his own attorney. "As usual, perpetrators of crimes don't usually think the consequences through, and as is often the case, it doesn't work out for them," court spokesman Ron Stuart said. Later, Matthew Mauceri appeared and was cited for failure to appear and contempt of court. His $100,000 bond from his original case was revoked. Court officials said the twins were remanded to the county jail -- in separate cells.